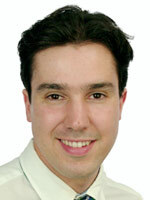 Fernando is currently studying at the University of Western Australia for his PhD. in Chemical and Process Engineering. This follows on from a masters of Chemical and Process Engineering, a masters and a diploma in forensic science specializing in analytical chemistry, and two bachelors in Biochemistry and Genetics Biology. His interest in chemical engineering came from his background in both organic and inorganic chemistry. The return to study process engineering was driven by his desire to work alongside a team of like-minded people that are highly motivated, proficient and enjoy technical challenges. Upon completion Fernando looks forward to dedicating his knowledge and skills to developing technology based solutions in the oil and gas production industry.